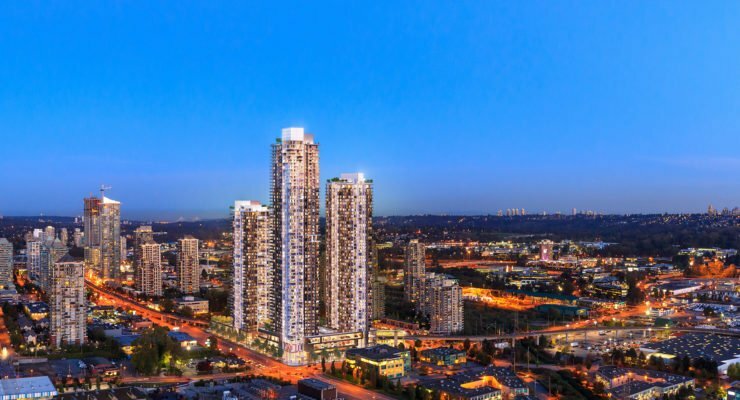 Construction on Onni’s three tower Gilmore Place development in Burnaby is set to begin, with the site at Lougheed Hwy. and Gilmore cleared. 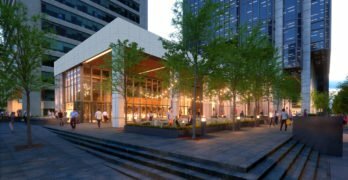 Oxford Properties is refreshing the façade of the plaza and retail space at 401 West Georgia, ahead of transformative changes on the block. 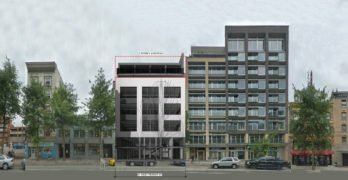 A former department store warehouse on West Pender in Vancouver’s Chinatown will be converted into rental apartments, office and retail. 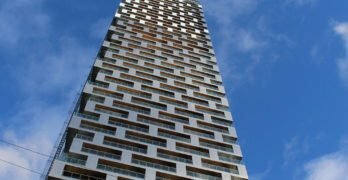 A dramatic design for a 60-storey tower designed by IBI Group overlooking Nelson Park in the West End has been unveiled. 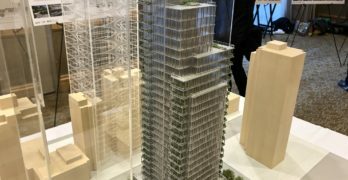 Anthem Properties has filed an application for a 33-storey condo tower on West Georgia and showed building models at an open house Tuesday. 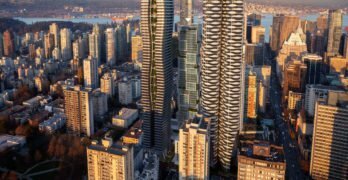 The developer behind Vancouver House has informed presale buyers that they must remove any condo assignment listings from MLS immediately. 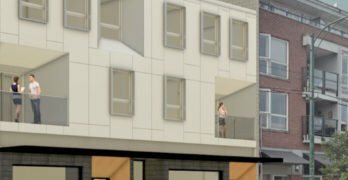 A small, three-and-a-half storey building is slated for West 4th Avenue near Macdonald Street, on the site of a building destroyed by fire. 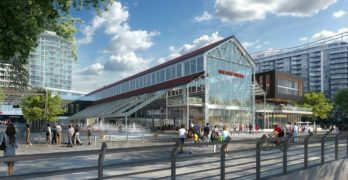 Vancouver’s International Village mall — also known as Tinseltown — is up for sale, along with Paris Square and the Henderson Place Mall in Coquitlam. 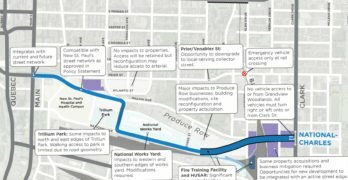 Capilano University announced Tuesday they will open a new branch campus at The Shipyards in Lower Lonsdale in August 2019.